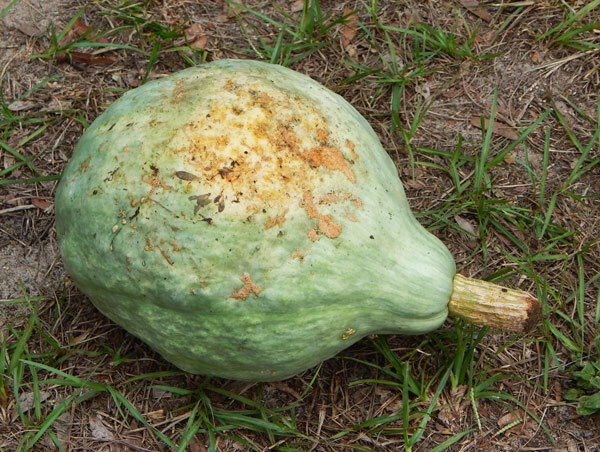 Florida Survival Gardening: Mystery squash! 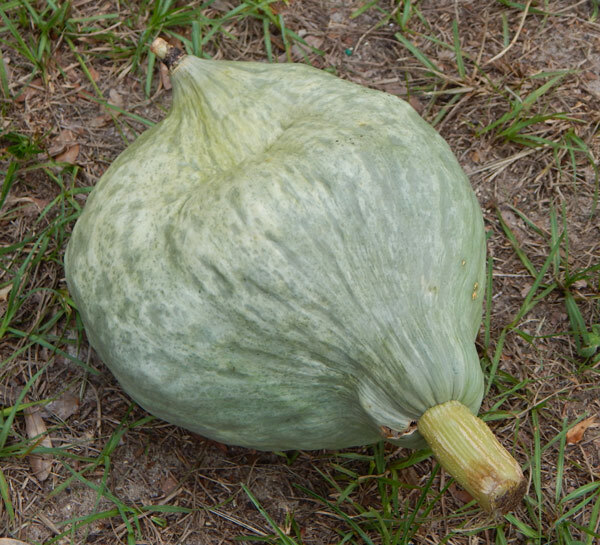 A man visited me at the 326 Community Market a couple of weeks ago and told me he and his wife had a weird squash appear in their garden (likely from the compost they'd made and spread around). He described it but I wasn't able to ID the interloper, so the next week after it had ripened, the gentleman and his wife brought it in to show me. It's probably about a 6lb fruit. From looking at it, I'm reasonably certain it's a Hubbard type. Nice little squash. I told them to wait a couple of weeks, then cook it and see how it tastes. 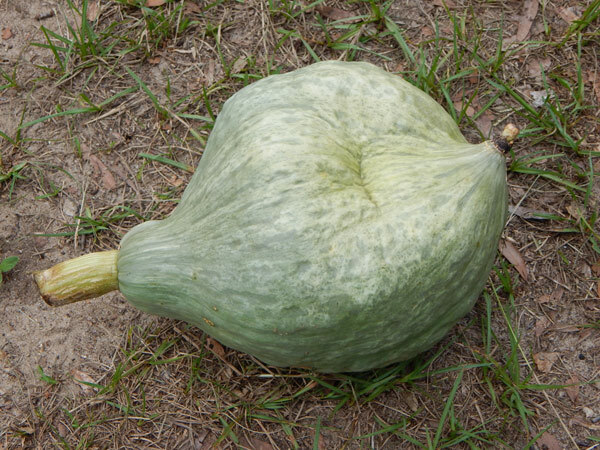 Winter squash need some time to sweeten up. Hubbards are not well suited to Florida, unfortunately, or I'd be growing them. They're really a good squash for New England... not here. 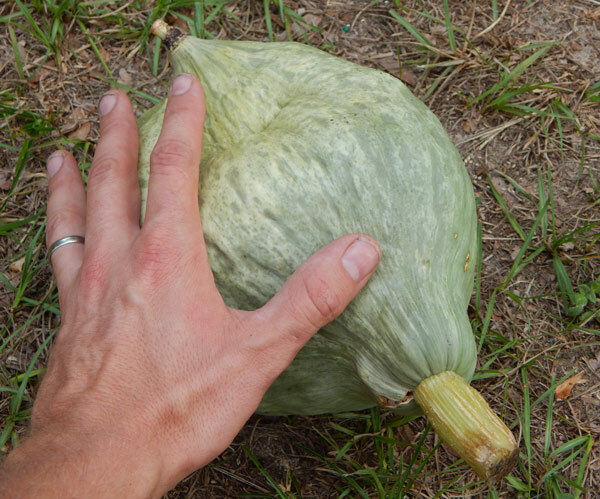 The couple told me that their vine made this one "big" squash and had another one that was about half as big still ripening up on the vine. I'm guessing they won't get much more than that because of our summer heat and humidity. Still - not bad for a free compost-pile squash.